Need help rotating your caravan wheels? Follow these simple steps. 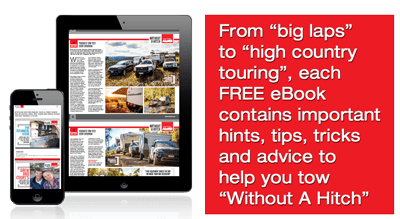 The tyres on your caravan aren’t simply discs to roll along and keep your gear from dragging along the ground, and they need a little more consideration. Rotating your tyres on the van may well result in improved life of your tyres and even suspension components but may additionally result in reduced chances of flat tyres as the result of thicker rubber on the road from less wear. 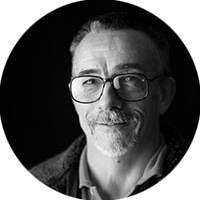 This is a process that requires little more than basic tools and an hour or two of your time, unless you discover something amiss while doing the work. 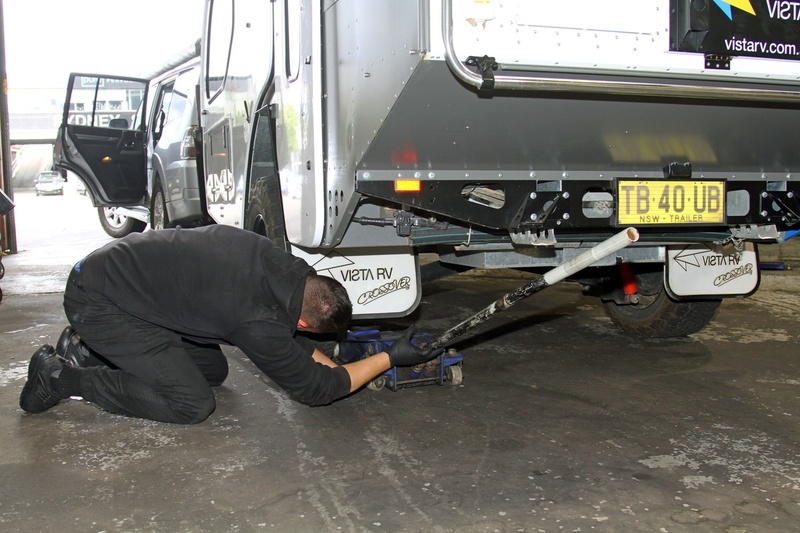 Begin by removing the spare in readiness and hooking up your tow vehicle to absolutely ensure the van cannot move. 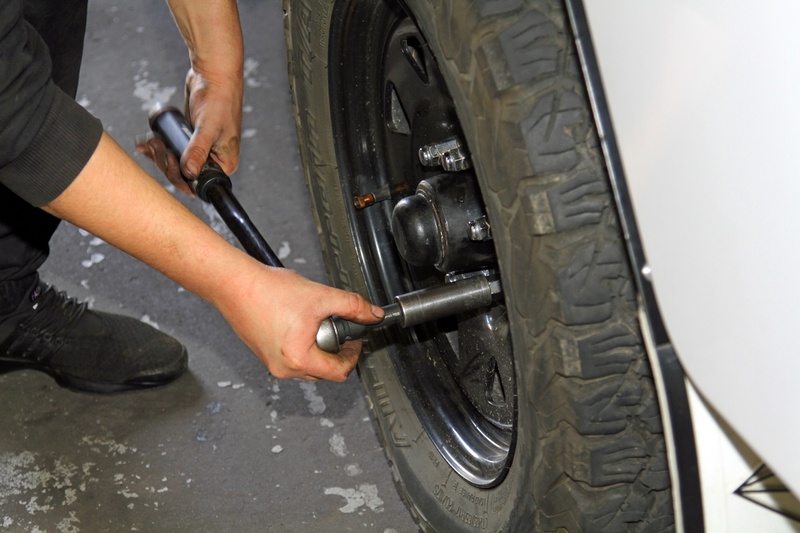 Jack up your van, safely inserting sturdy jack stands of an appropriate strength and remove the wheel nuts. Inspect each tyre without mixing them up. Run your hands over the tread surface while holding the wheel vertically, feeling for feathered edges to the tread. This will indicate problems with wheel alignment (most likely in vans with independent suspension). Remove any build up of mud or dirt which can impact wheel balance) and search for signs of missing wheel balance weights (most likely on the inner side of each rim). If missing balance weights are found take the rim to a tyre outlet and ask them to rebalance them for you (a nominal fee will be payable). In fact, it may well be worth while having the balance on all wheels checked as the balance of all rims/tyres will change with wear and they will likely be out of kilter. An unbalanced tyre/rim can be adding stress to shock absorbers, springs, bushings and pivot points. 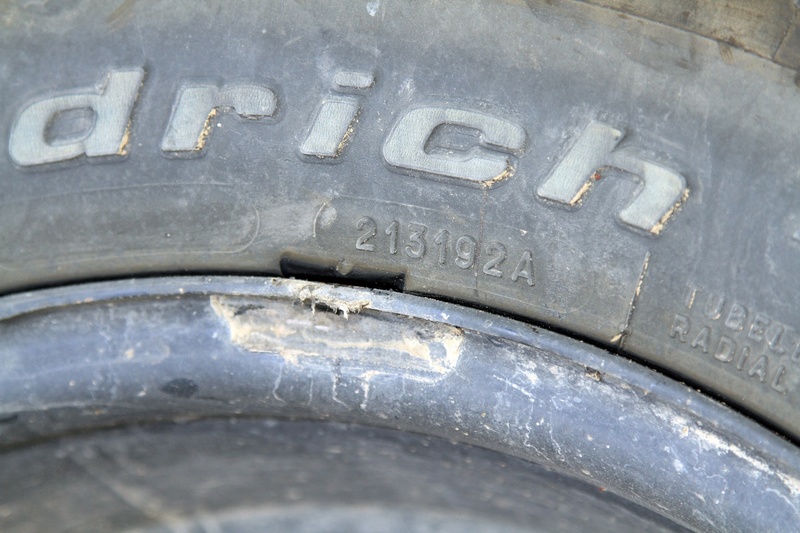 Tyres have an absolute age limit of 10 years (there’s a four-digit manufacturing date code on each tyre case: For example 1517 indicates the fifteenth week of 2017) and the life can be reduced to as little as five years in sub-tropical areas such as Darwin and Cairns because of the heat and humidity. 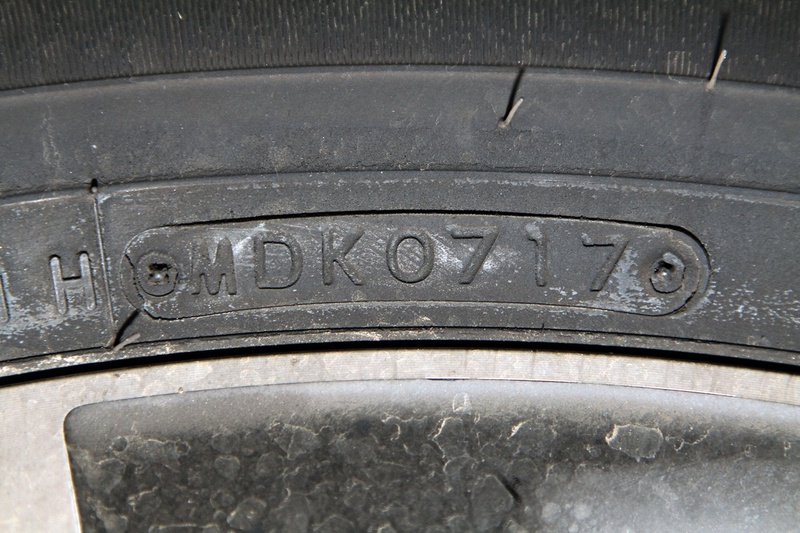 Check the tyre date codes on each tyre (they can be quite different). If over six years of age, while you’re having your tyres balanced have them checked for early signs of failure (heavy cracking in the tread, discolouring, etc). Tyres which are overly old are liable to fail you at the worst times (at high speed on a motorway, on rough tracks, etc). Replace them if necessary. Swap the spare onto one side of the van and the tyre from that side to the opposite side of the van. The third tyre is then put into reserve as the spare. Rotating the spare into use helps to keep that tyre flexible and ready to use. Spares frequently end as old, hard and liable to sudden failure when brought into use. Brush the studs to remove dirt from the threads. Torque wheel nuts to the recommended level (variable by wheel and stud size) and in the recommended order (diagonally opposite). Do not use any lubricant or grease on the studs. 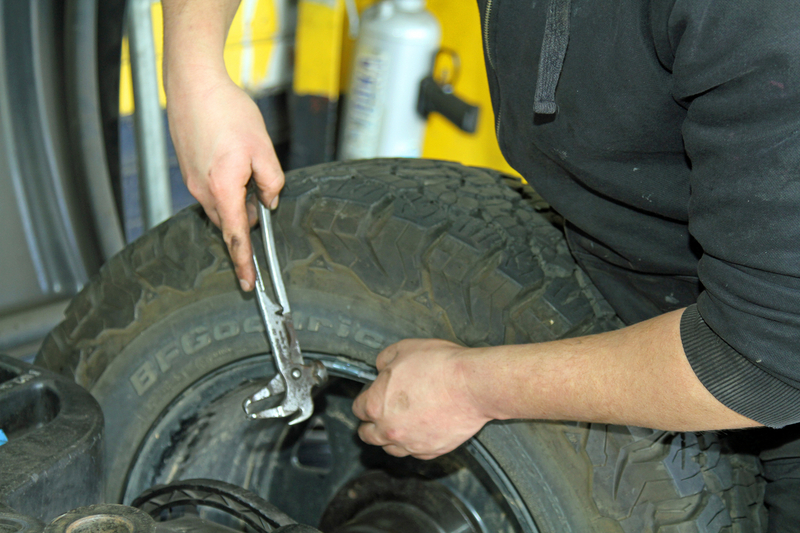 If any signs of feathering of tyre tread were discovered, indicating wheel alignment issues, have the van checked by an expert. A one-degree misalignment is the equivalent to dragging the tyre sideways 17 metres for each kilometre of travel. After 50-100km, re-torque the wheel nuts.